Financial statements issued by Ponzi schemer Bernard Madoff are 'fictitious' and have no basis for investor claims, ruled a federal judge. NEW YORK (CNNMoney) — A federal judge shot down an appeal from investors in Bernard Madoff’s scheme, dismissing their opinion that they’re entitled to the amount of money that the Ponzi schemer said they were worth. The ruling applies to investors who believe they should be compensated not just for the money they invested with Madoff, but for the amount of money he said they were worth. These amounts were based on the last financial statements Madoff sent out before his scam collapsed with his arrest on Dec. 11, 2008. Madoff’s statements typically said that the balance had grown significantly since the original deposit, even though the money wasn’t actually invested and, in many cases, simply disappeared. With his ruling, Judge Jacobs sided with Irving Picard, an attorney appointed by U.S. Bankruptcy Court in Manhattan to track down the money and assets lost to Madoff in the largest pyramid scheme in history. More than 16,000 investors have filed claims with Picard to retrieve the money they lost to Madoff. But Picard has rejected the majority of these claims, and actually sued some of these investors for allegedly profiting from the scheme, regardless of whether or not they suspected Madoff as a shyster. Picard is only recognizing net equity claims, meaning claims from investors who deposited more than they withdrew and are seeking to get their deposits back. “We have maintained all along that our definition of net equity — which is supported by longstanding precedents in bankruptcy and securities laws — is the fairest approach to the determination of claims, and we hope that the court’s decision can be the final word on this issue,” said Picard’s spokeswoman Amanda Remus in a statement. Helen Davis Chaitman, an attorney representing Diane and Roger Peskin, who are among the dozens of investors who appealed, said the judge’s ruling undermines investors’ faith in the markets. “The Second Circuit’s holding will destroy investor confidence in the capital markets because of the promise of [Securities Investor Protection Corp.] insurance is illusory,” she said, referring to the nonprofit organization that provides insurance to investors. Saul Katz and Fred Wilpon and the partners of Sterling Equities, co-owners of the New York Mets baseball team, are among the group of investors who filed the appeal. They were sued by the trustee for allegedly profiting off the scheme. Like other sued investors, they deny having any knowledge that it was a Ponzi scheme. After Judge Jacobs announced his dismissal of the appeal, Sterling Partners expressed disappointment that “the decision did not address the validity” of the trustee’s lawsuit against Sterling. “As we have made clear in our motion to dismiss that lawsuit, which is pending before the District Court, the claims and allegations in the Trustee’s lawsuit against the Sterling Partners are without factual or legal merit,” said Sterling Partners, in a prepared statement. 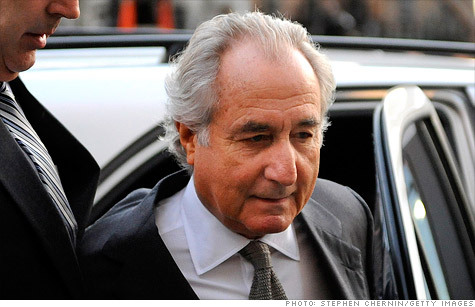 Madoff pleaded guilty in March 2009 to 11 criminal counts related to running the Ponzi scheme. The 73-year-old convict is languishing at a federal prison in North Carolina, where is serving a 150-year sentence.